Originally, the IPA (Indian Pale Ale) were exported from England to India. Extra hop was added to the beer for longer conservation during the journey. 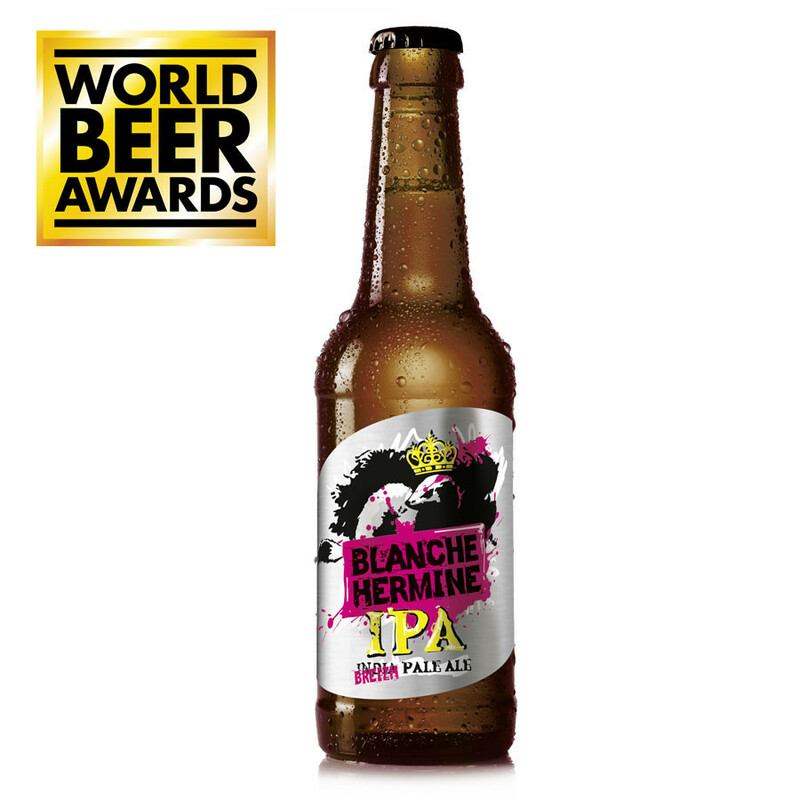 The Blanche Hermine IPA received the gold medal in the American IPA style category. However, IPA white beers are relatively scarce. The Blanche Hermine (White Ermine) IPA has been brewed by Lancelot Brewing Company with Columbus and Mount Hood hops, to deliver a subtle combination between the classic Belgian style and the American offbeat taste. Great bitterness with grapefruit and lychee. Palate: lively and refreshing, with a strong bitterness and hoppy flavours. 2017 - Golden medal at Concours Général Agricole de Paris 2017. 2018 - Golden medal of American style IPA in World Beer Awards.